Comet Cleaners has more than 60 years of brand history—something that gives customers instant trust when they see our franchises. Whether you are interested in being your own boss and growing in an exciting market or have an entrepreneurial spirit, our dry cleaning franchise opportunities may be right for you. We are in an easy and straightforward business to learn, allowing you to spend more time focusing on profits than building business expertise. The dry cleaning business is one of the most underestimated and overlooked business opportunities. 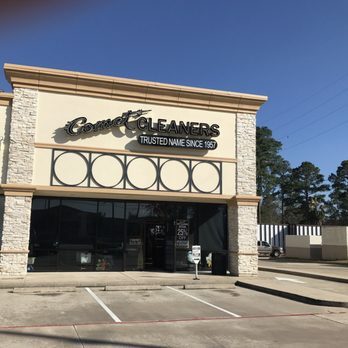 While some people may be drawn to the flashiness of a food chain or the excitement of a salon franchise, they forget the stability and growth potential of a dry cleaning business. The industry has been steadily growing since the 1920s and has transformed into a $9 billion commerce. Comet Cleaners has carved out our space within this profitable industry. Our innovative machinery and stain-fighting solutions have made us the trusted name in dry cleaning clothes over the years. If you’re an entrepreneur looking to start a successful business, look no further than Comet Cleaners and Laundry. Our dry cleaning franchise gives you the opportunity to be in charge and implement new ideas to help your business thrive. WHAT PUTS COMET CLEANERS AHEAD OF THE REST? Comet Cleaners has been the trusted name in dry cleaning for 60 years. What started out as a small business years ago has grown to include over 185 current stores across the United States and Mexico. Our success stems from a solid business model and proven strategy that not only works, but is recession proof. Additionally, all of our franchisees receive the training and education they need to ensure they are set up to succeed. Financing Options – We can help you work with third-party lenders to finance your business. Expert Installation – Our expert technicians have the knowledge and experience needed for plant construction and equipment installation. Real Estate – We help franchisees choose the best location to establish their dry cleaners – one that maximizes customer traffic. Marketing – When you choose a Comet Cleaners franchise, you receive national brand recognition and a proven marketing model. Store Design and Layout – Franchisees receive assistance with modeling and planning the layout of the store. Enjoy the advantages of being your own boss with none of the stress that comes with starting a new company from scratch. Our dry cleaning franchise uses turnkey operations for quick setup so you can get started.